What Can Water do to Your Laptop? 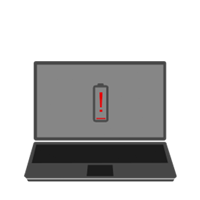 Liquids can damage the internal components of your laptop or create an electrical short that can permanently damage the interior workings of the machine. If water is spilled on the laptop, or any other liquid that doesn’t leave a residue, the computer may not suffer any damage. To find out, let the laptop sit idle and turned off for three or four days. If it turns on after that time, you’ve missed the bullet and your laptop should work just fine. If the spilled liquid is a juice, soft drink or coffee, however, you have a problem. These liquids contain solid residue that more than likely can corrode the interior electronics. What do I do if I Spill Liquid on My Laptop? Regardless of the type of liquid spilled, turn off the machine immediately. Unplug the machine.If plain water is the liquid spilled, allow plenty of time (3-4 days) for it to dry before attempting to turn it on again. If the liquid is one that leaves a residue as described above, you should take the laptop to a professional computer service that can handle the problem. There are several good reasons why you should repair your laptop rather than spend the money to buy a new one. 1. Resetting everything, copying data and transferring applications to a new laptop is time-consuming and frustrating. 2. Repairing is less costly than buying new. 3. By repairing, you are conserving the Earth elements. If you buy a new laptop, more of earth’s raw material are needed to build it. 4. Discarding the old laptop creates more non-recyclable parts returning to Earth. Why choose us to fix your computer? All our Laptop Repairs are done on site. We specialize in the same day repairs and work with all makes and models. Quick Fix Technologies in New York City is one such company that can undo the damage to your laptop caused by a liquid spill. In operation since 2008, Quick Fix offers its customers with a full menu of computer fixes and technical support. They can fix any electronic devices including laptops, desktops, MacBooks, iMacs, phones and tablets. They off also offer full service for home or small business networking operations like wireless network and network printer setup. They are also specialists in laptop water damage repair.